For the kid we purchased A House for Hermit Crab by Eric Carle. We just added two hermit crabs to the Pinkelton household so we thought was fitting. Carle’s stories always have a good lesson to learn and the pictures are beautiful. Cost for us – $5.00. Joe is always looking for books on food and drink to add to our culinary library. On this trip he picked up Imbibe! by David Wondrich. Through a combination of recipes and stories this book entertains and builds your cocktail creative capabilities. While I hate to take money away from writers, this book was originally $23.95 and we paid $3.25 for it. 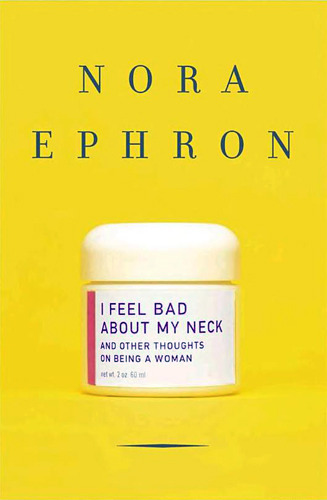 When I saw a copy of Nora Ephron’s I Feel Bad About My Neck on the shelf I automatically picked it up. I’ve been in love with Ephron’s style since I saw When Harry Met Sally so many years ago and have yet to read this story. Sometimes you need to read some fluff to reset your brain. I am just beginning to find the time to read this book, and I know that I will need some lighthearted fluff to enjoy when I am done. Second hand price $6.00. 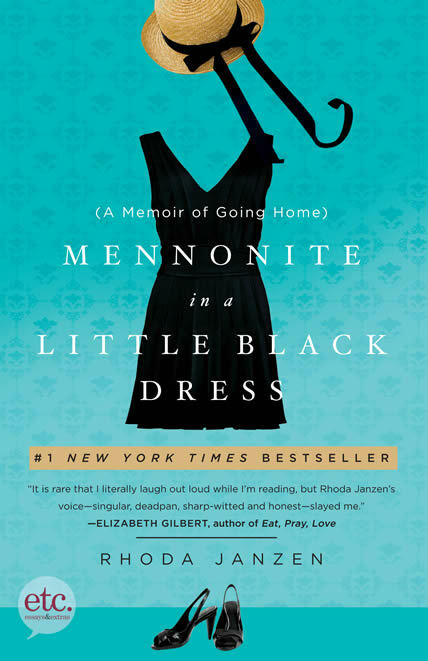 How could I not buy a book with the title Mennonite in a Little Black Dress ? I know I said that the Ephron book was the fluff that I needed, but I am still recovering from a Canterbury Tales class I took in college back in 1993. Fluff options are important in my world. Cost for this one…$3.00. There you have it folks. Four more books for the already bulging shelves at Chez Pink. I do promise to the KonMari worshippers out there that if these books don’t bring us joy I will cast them off for others to love. Do you have a favorite used bookstore? I’d love to hear about it.